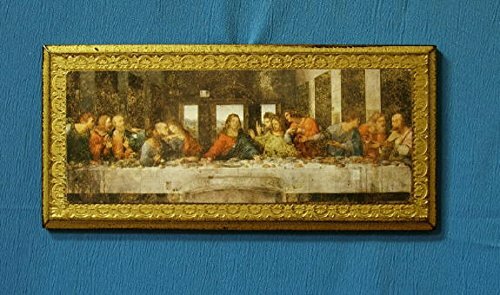 Last Supper Florentine plaque, 11 x 5 inches. Made in Italy. Silver Crucifix on a wood cross, 10 inches . Made in Italy. Blue Stations of the Cross, metal,5 inches. Made in Italy. Red Stations of the Cross,metal, 5 inches. Made in Italy. Italy National Soccer Team Vertical Flag 27" x 37"